I took pen to paper again last night and produced a few more gaming-related doodles. 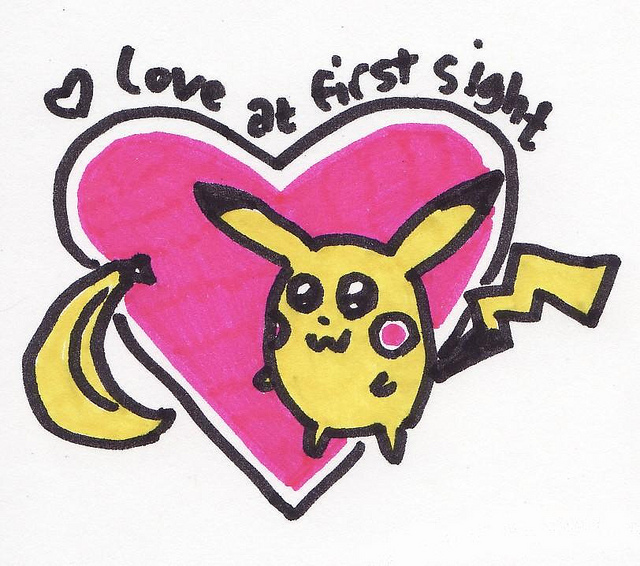 Why has Pikachu fallen in love with a banana? I'm guessing it has something to do with the fact that they're both yellow and black, but I'm not entirely sure. Surprisingly (not! ), another of my doodles--titled, "Huh?!?" --was inspired by Bubble Bobble. Black-and-white versions of both doodles/drawings can be viewed here, by the way. I think I'm going to work on some Earthbound/Mother-related doodles tonight. 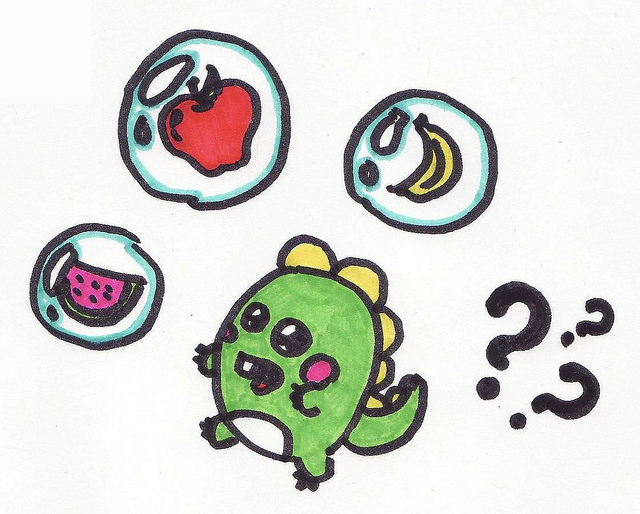 Like the Bubble Bobble doodle, something about the way you drew the tooth. Like something out of Picasso's blue phase. Except it isn't blue. Or anything like Picasso. Hmmmm....scratch that. Bad reference on my part. Nice doodle though. Thanks, RetroKingSimon :) And thanks for the comment, too! Help a brother out, will ya?